What the Heck is Yogurt Ranch? At Pickleman’s, we’ve noticed that Yogurt is getting a whole lot of hype – and for good reason. That’s why we’re introducing yogurt-based ranch as a new dressing option for all of our salads! But before you start chowing down on a delicious Pickleman’s salad with a brand new Yogurt Ranch dressing, let’s talk health benefits. Here are some of the things that make yogurt so great for you – and the reasons why we’re introducing it into our line of dressings. Yogurt is a great source of protein and is full of Probiotics and Macronutrients making it a great substitute for mayo in our Low Fat Yogurt Ranch. Swapping Yogurt for Mayo is great way to reduce the amount of calories and saturated fat in Ranch Dressing and other dips. 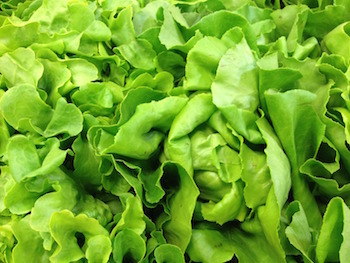 Try it with our Garden Chop, Avo-Cobb, Southwest Salad, or just dip your pizza in it! 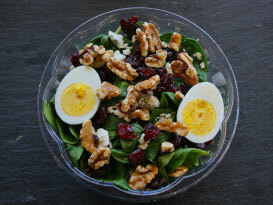 The Walnut Cran Salad is our Newest Spinach Salad with Dried Cranberries, Chunks of Fresh Walnut, Bleu Cheese, Hard-Boiled Egg and our Balsamic Dressing.